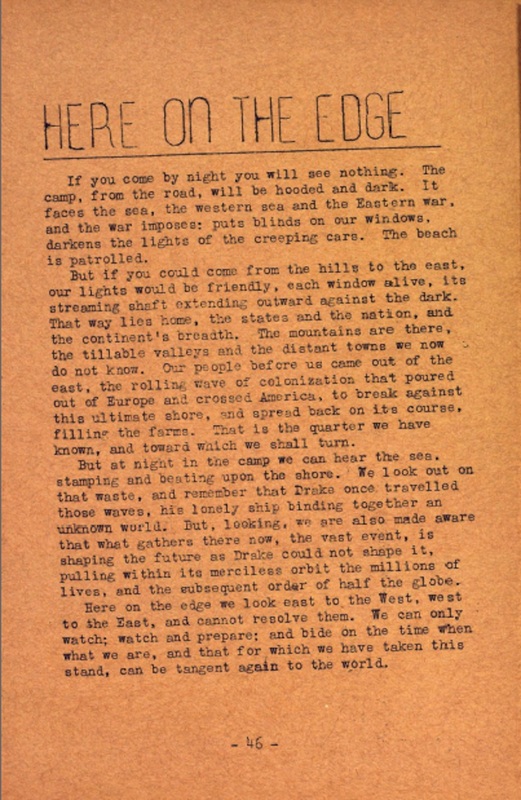 Seventy-five years ago this week, Bill Everson sat down and wrote out the following message and published it in a mimeographed newsletter called The Untide. 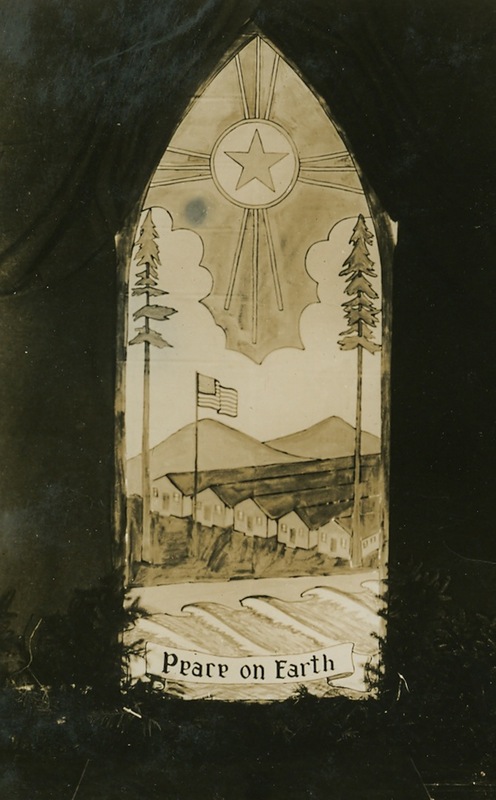 He was sitting in a cabin on the Oregon Coast, at a work camp for conscientious objectors. It was early 1943, and America, along with much of the world, was fully at war. Everson knew that when the shooting finally stopped, the world would be tired, maybe even tired enough to do something about it. But he knew that would be in the future; no one was listening now. So he spoke to the future, spoke to them from the edge. You can take it literally or metaphorically. I’ll go with both. —Samuel Gompers, founder of the American Federation of Labor, 1893. Labor Day has become synonymous with picnics and barbecues, the end of summer and the start of school. It’s the last hurrah before everyone shifts out of vacation planning more and settles back into the workaday routine. Other than some labor union stalwarts, few people give much thought to when, how or why the holiday started. They’re just grateful for a three-day weekend. The early history of Labor Day includes elements that are much darker than the current observances, however, and which bear remembering. The first Labor Day was celebrated on Sept. 5, 1882, in New York City. Many workers took the day off without pay to parade and otherwise mark the holiday, giving them a taste of what it’s like to have what Americans now take for granted — two days off in a row. The idea of having a day honoring workers continued to gain popularity nationally. In 1887, at the opposite end of the country from New York, Oregon became the first state to pass a bill creating a Labor Day holiday. Seven years later, — during a time of social, economic and political upheaval — Labor Day became a national holiday, albeit under unsavory circumstances. The country was going through the turmoil of the industrial revolution, a series of recessions and bitter fights over issues such as child labor and the need for a living wage. Unions had become increasingly important for workers as a means to band together and push for change. Strikes had also become common, some leading to bloody confrontations. In 1894, workers at the Pullman rail car company in Illinois went on strike after wages, hours and jobs were slashed. The strike quickly spread across the country. In response, President Grover Cleveland declared the strike a federal crime and sent troops in to break it. Violence erupted, and 30 strikers were killed by federal troops. Shortly thereafter Congress passed — and Cleveland signed — a bill declaring the first Monday in September a day to honor workers, in what many historians saw as either an attempt to appease unions or save face after the deaths at Pullman. Other bloody incidents since then have marred the history of labor relations in the United States, but there have been far more examples of progress — of doing away with unjust laws or practices and of finding paths and compromises that benefit both workers and employers in ways that add to the prosperity of the country. Laws now protect against the abuses of child labor. Other laws bar discrimination based on factors such as race, religion, age, gender and sexual orientation. There are workplace safety laws, and agencies to enforce them. Workers now take for granted the 40-hour workweek, the eight-hour workday, weekends, paid vacation time, sick leave, the right to breaks, collective bargaining, overtime pay and more — much of it due to Samuel Gompers and others who followed him. America has made progress on many of the dreams that Gompers had when he wrote those words in 1893, although the country isn’t there yet. This Labor Day, in between grilling, relaxing and visiting with friends and family, take a moment to say a silent thank you to Gompers and others like him, for their efforts to make the world of work a better place. Since the events of November 8, I have struggled to find the right response. I tried to write it myself, but nothing was sufficient. So I began searching elsewhere, and recently found what I was looking for. This message from Ursula Le Guin succinctly articulates the difference between a life driven by war, and a life guided by peace. Because that’s what it’s about, isn’t it. War between ourselves, or peace among ourselves. War against, or peace with. That’s our real choice. Ms. Le Guin’s message is so important that I asked permission to reproduce it in its entirety here. It was originally posted on her blog. You can also find it at Book View Cafe, with readers’ comments. Thank you to Ms. 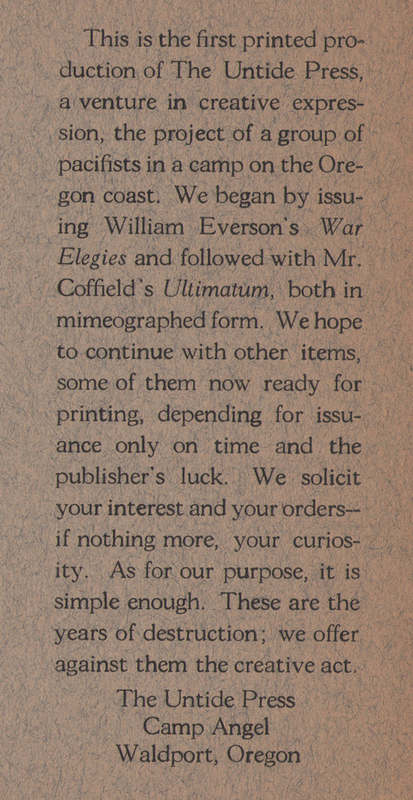 Le Guin for generously granting reprint permission. The following is copyright © 2016 Ursula K. Le Guin. Americans have voted for a politics of fear, anger, and hatred, and those of us who oppose this politics are now trying to figure out how we can oppose it usefully. I want to defend my country, my republic. In the atmosphere of fear, anger, and hatred, opposition too easily becomes division, fixed enmity. I’m looking for a place to stand, or a way to go, where the behavior of those I oppose will not control my behavior. Americans are given to naming enemies and declaring righteous war against them. Indians are the enemy, socialism is the enemy, cancer is the enemy, Jews are the enemy, Muslims are the enemy, sugar is the enemy. We don’t support education, we declare a war on illiteracy. We make war on drugs, war on Viet Nam, war on Iraq, war on obesity, war on terror, war on poverty. We see death, the terms on which we have life, as an enemy that must be defeated at all costs. Defeat for the enemy, victory for us, aggression as the means to that end: this obsessive metaphor is used even by those who know that aggressive war offers no solution, and has no end but desolation. The election of 2016 was one of the battles of the American Civil War. The Trump voters knew it, if we didn’t, and they won it. Their victory helps me see where my own thinking has been at fault. I will try never to use the metaphor of war where it doesn’t belong, because I think it has come to shape our thinking and dominate our minds so that we tend to see the destructive force of aggression as the only way to meet any challenge. I want to find a better way. My song for many years was We Shall Overcome. I will always love that song, what it says and the people who have sung it, with whom I marched singing. But I can’t march now, and I can’t sing it any longer. My song is Ain’t Gonna Study War No More. Though we’ve had some great scholars of peace, such as Martin Luther King, studying it is something Americans have done very little of. The way of the warrior admits no positive alternatives to fighting, only negatives — inertia, passivity, surrender. Talk of “waging peace” is mere glibness, you can’t be aggressively peaceful. Reducing positive action to fighting against or fighting for, we have not looked at the possibility of other forms of action. Like the people who marched to Selma, the people who are standing their ground at Standing Rock study, learn, and teach us the hard lessons of peace. They are not making war. They are resolutely non-violent. They are seeking a way out of the traps of anger, hatred, enmity. They are actively trying to get free, to be free, and by their freedom, free others as well. Studying peace means in the first place unlearning the vocabulary of war, and that’s very difficult indeed. Isn’t it right to fight against injustice? Isn’t that what Selma and Standing Rock are — brave battles for justice? I think not. Brave yes; battles no. Refusing to engage an aggressor on his terms, standing ground, holding firm, is not aggression — though the aggressive opponent will always declare that it is. Refusing to meet violence with violence is a powerful, positive act. But defending a cause without fighting, without attacking, without aggression, is not a reaction at all. It is an action. It is an expression of power. It takes control. Reaction is controlled by the power it reacts against. The people who at present claim to be conservatives aren’t conservatives at all, they are radical reactionaries. The position of the reactionary is not that of the agent, but that of the victim. The reactionary tends always toward paranoia, seeing himself as the obsessive object of vast malevolent forces and entities, fearing enemies everywhere, in anyone he doesn’t understand and can’t control, in every foreigner, in his own government. Many contemporary Republicans have permanently assumed the position of victim, which is why their party has no positive agenda, and why they whine so much. The choice to act, rather than react, breaks the paralysis of fear and the vicious circle of aggression, frees us go forward, onward. We have glamorized the way of the warrior for millennia. We have identified it as the supreme test and example of courage, strength, duty, generosity, and manhood. If I turn from the way of the warrior, where am I to seek those qualities? What way have I to go? Lao Tzu says: the way of water. The weakest, most yielding thing in the world, as he calls it, water chooses the lowest path, not the high road. It gives way to anything harder than itself, offers no resistance, flows around obstacles, accepts whatever comes to it, lets itself be used and divided and defiled, yet continues to be itself and to go always in the direction it must go. The tides of the oceans obey the moon while the great currents of the open sea keep on their ways beneath. Water deeply at rest is yet always in motion; the stillest lake is constantly, invisibly transformed into vapor, rising in the air. A river can be dammed and diverted, yet its water is incompressible: it will not go where there is not room for it. A river can be so drained for human uses that it never reaches the sea, yet in all those bypaths and usages its water remains itself and pursues its course, flowing down and on, above ground or underground, breathing itself out into the air in evaporation, rising in mist, fog, cloud, returning to earth as rain, refilling the sea. Water doesn’t have only one way. It has infinite ways, it takes whatever way it can, it is utterly opportunistic, and all life on earth depends on this passive, yielding, uncertain, adaptable, changeable element. The death way or the life way? The high road of the warrior, or the river road? makes the valley that holds it. the valley of the river. The wind. The dust on the wind. The rain. The rain on the wind. What wears the hardness of hate away? the path to the doorway. I’ve been lying low this political season, watching the slow-motion collapse from a safe distance. But, after hearing the office of president referred to time and again as our “commander in chief,” I finally had to speak out. Here is my piece published on July 27 in my local newspaper, the Eugene Register-Guard. Donald Trump will not be my commander in chief. Neither will Hillary Clinton. Our nation does not have a commander in chief. It never has; hopefully it never will. Our nation does have a commander in chief of the armed forces. This person, as outlined in Article II, Section 2, Clause 1 of our Constitution, is the president of the United States. The president does not “command” any civilians, except as an employer who oversees the work of people in his or her administration. This may seem like hair-splitting to some. But I submit that it is one of the most important distinctions in our president’s job description — so important that it delineates the difference between democracy and dictatorship. The use of “commander in chief” as a synonym for “president” or “chief executive” has permeated our national discourse so completely in the last 15 years that it now appears regularly in otherwise competently presented news stories. A simple Internet search for “commander in chief” reveals its regular use as shorthand when referring to the president. To be fair, most news organizations generally use the term in context of military-related topics. But overuse blurs the distinction between the president’s role as commander of the military, and his or her political job of carrying out the will of the people. One recent president recognized that during times of war, the public looks to the president as an authority figure. “One of the keys to being seen as a great leader is to be seen as a commander-in-chief,” George W. Bush reportedly told his ghostwriter, Mickey Herskowitz, in 1999. Bush put those words into action after the Sept. 11, 2001, attacks, sending American forces to invade Afghanistan and Iraq. Chief among the events cementing his identity as a military leader was his flight in a military jet to a landing on an aircraft carrier off the California coastline, where he stepped out wearing a flight suit and carrying a helmet under his arm. The candidates in ensuing elections didn’t do much to disabuse us of this notion. John Kerry in 2004 based his campaign on his military experience in Vietnam. Hillary Clinton’s oft-quoted “3 a.m. phone call” campaign advertisement in 2008 further supported the idea that a president’s primary job is military. This is not a Republican or Democratic issue; it is a concern for all Americans. Language is power. If we allow others to dictate the meanings of our words, we allow others to dictate the meanings of our lives. 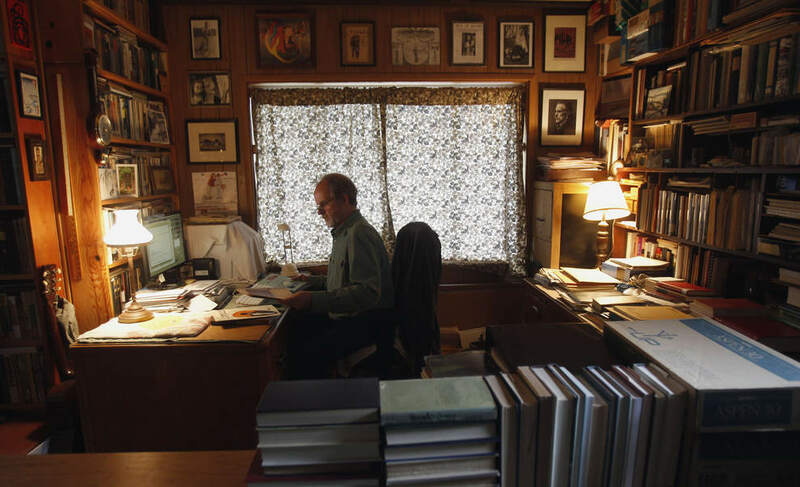 Steve McQuiddy, a writing instructor at Lane Community College, is the author of “Here on the Edge,” a Dayton Literary Peace Prize finalist, the story of a group of World War II conscientious objectors on the Oregon Coast. Christmas, 1942. War raged across Europe and the Pacific, with no indication of when it might end. At an isolated work camp on the Oregon Coast, a small group of conscientious objectors dared to make perhaps the most subversive statement of the year. This message was posted at the head of their dining hall. It also provided for the first time in American history a clause recognizing conscientious objection. Men whose claim of CO status was recognized could serve in noncombatant roles, or take part in an organization (yet to be formed) that would assign them to do “work of national importance under civilian direction.” Nobody knew it yet, but the seed of Civilian Public Service (CPS) was planted. Where and how men were granted CO status was a matter of geography — both physical and social. Draft boards were composed of local men, many of them veterans of war themselves, and a young man requesting CO status was entirely at their mercy. In some cities, a CO on one side of the street might be assigned to CPS or excused entirely, and a CO from the other side of the street be sent to prison. Both were sent to CPS camps in Oregon, where fate and their own energies would conspire to create something more. Seventy years ago today, World War II officially ended with the formal signing of surrender documents by Japanese officials on board the USS Missouri, anchored in Tokyo Bay. The toll of the war was horrendous worldwide, and you would’ve had to look hard to find someone who felt the killing and destruction should continue. How, then, could we stop such a thing from occurring again? The men at Camp Angel didn’t claim to have an answer, but they tried their best to create an alternative through their words and actions. They weren’t against the men who fought in the war; they were against war itself, the very idea of war. And they believed that if they could express a way of thinking, a way of viewing the world, that was opposite the view of war, then perhaps they might be able to make a difference. The way, they felt, was through art. Through words and pictures and music, through painting and sculpture and drama, through every possible manifestation of making instead of destroying — they felt that if they demonstrated a world of possibility over inevitability, then perhaps a new way of thinking might slowly take root and grow. And that’s what they did. They wrote and published and composed, they painted and sculpted and acted, they dreamed and built and made things with their minds and hearts and hands. And they put it out there for the world to see. Their focus all along had been not on the current conflict, but on what kind of society might be possible when the shooting finally stopped. 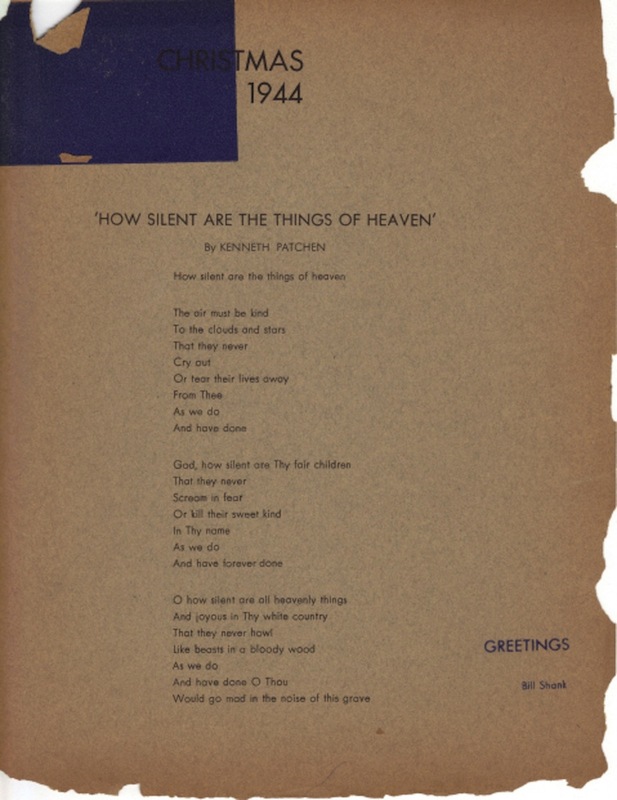 Almost exactly seventy years ago, Bill Shank, an 18-year-old from New Jersey, took up the printer’s stick and set some type, then fired up the Challenge Gordon press in the Fine Arts work room and printed out a special Christmas greeting, featuring a poem by his friend, Kenneth Patchen. After Here on the Edge was published last year, Bill Shank sent me a scan of the poem, now cracked and brittle with age, but whose message rings as true today as it did then. A nice feature by Randi Bjornstad in the Eugene Register-Guard Sunday edition. She captures the story very well, and even reveals a little of the writer’s own history. (Yes, he really did study architecture and botany before picking up a pen to write books.) Read PDF versions of the first page here, and the second page here. Catch the last two shows of the year: 11/13 at Tsunami Books in Eugene, and 11/15 at the Nye Beach Writers’ Series in Newport. Back from a whirlwind visit to San Francisco (photos below) — a packed house at City Lights Books, with special guests from the Fine Arts Group: Vladimir Dupre, 94, executive secretary of the Fine Arts, and Chuck Davis, 91, who taught the original members how to set type and run a printing press. I gave a short slideshow overview, then Steve Dickison, director of the San Francisco Poetry Center, set the stage for discussion on how the Fine Arts influenced the San Francisco postwar scene. Vlad and Chuck were in fine form even though the room was thick with body heat, sharing great memories and perspectives. Did they have any sense at the time that they were doing something important, that it would influence a generation and beyond? No, they said — they were just getting through their days of planting trees and cutting trails, trying to be creative as an antidote to the drudgery. Were they really living the ideals on the margins of the 1940s that would become the mainstream in the next generation? It certainly appears so. Civil rights: they sat at the same tables regardless of race. Equal rights: they wrote “he or she” when speaking generically of human beings. Health: They took a vote and requested that people not smoke during meals. Nutrition: They served a vegetarian as well as meat menu at dinners. Environmentalism: They wrote of the so-called “dead stumps” in the forest as the incubators of the next generation of trees. Just about any social movement you want to name from the 1960s and ’70s existed in some form at this isolated backwoods camp on the rain-soaked Oregon coast during the dark days of World War II. And on this night 70 years later at the iconic City Lights Bookstore in San Francisco, two members of this once-marginalized group got to see the difference they’d made for not just one generation but also for the ones following. L-R: Chuck Davis, Steve Dickison from San Francisco Poetry Center, and Vlad Dupre. Space was so tight, the projector came down after the slideshow so people could see the guests of honor. Book signing after the talk. Chuck Davis (L, seated) looking up and talking to a fan. Vlad Dupre (R, seated) signing a book. The author with Chuck Davis wearing his new City Lights ball cap. After a heady month of being named a finalist for the $10,000 Dayton Literary Peace Prize, I’m now headed to San Francisco for two shows next week. Wednesday, Oct. 15, I’ll be at City Lights Bookstore, with two special guests: Vladimir Dupre, 94, who was executive secretary of the Fine Arts Group; and Chuck Davis, 91, who taught the Fine Arts founders how to set type and run a printer. Both men have wonderful memories and colorful stories to tell. The event will be hosted by Steve Dickison, director of The Poetry Center and American Poetry Archives at San Francisco State University. Come by for this rare opportunity to have your copy of Here on the Edge signed by two members of the Fine Arts Group! Friday, Oct. 17, Vlad and I will be at Books, Inc. in Berkeley. That evening will feature a more in-depth slideshow and Vlad will share his memories of the camp and its effects on the ensuing generations. These are the only two shows in the Bay Area this year. Spread the word! I am thrilled to announce that Here on the Edge has been named a finalist for the Dayton Literary Peace Prize, the prestigious award given annually to one book each in fiction and nonfiction. This is an incredible honor that brings international recognition — and a $10,000 cash award to each winner of the prize. Winners should be announced in late September. Most finalists for this award come from major New York commercial publishing houses. Here on the Edge is the first-ever finalist published by a university press (who traditionally run on shoestring budgets with a small staff). Feel free to pass this on to your friends, post on social media, invite your network to “like” my Facebook page, or otherwise spread the word. Thanks to everyone for your wonderful support through the years of writing and now promotion. The story continues!